Collaboration between two specialists: KRÜSS GmbH, global market leader in the field of contact angle measurement, and LINSEIS, as experts in thermal analyses, have established a new cooperative venture. With immediate effect, the two owner-managed family companies will be following a common path in the field of high-temperature contact angle measurement. High-temperature contact angle measurements are of interest, for example, in energy recovery with mineral fuels, for investigating slag for blast furnaces or in the production of robust enamel coatings. With such coatings in particular, synergies can be utilized by combining the contact angle method and dilatometry. Wetting between carrier material and coating is just as important for their stability as the thermal expansion of the different phases. 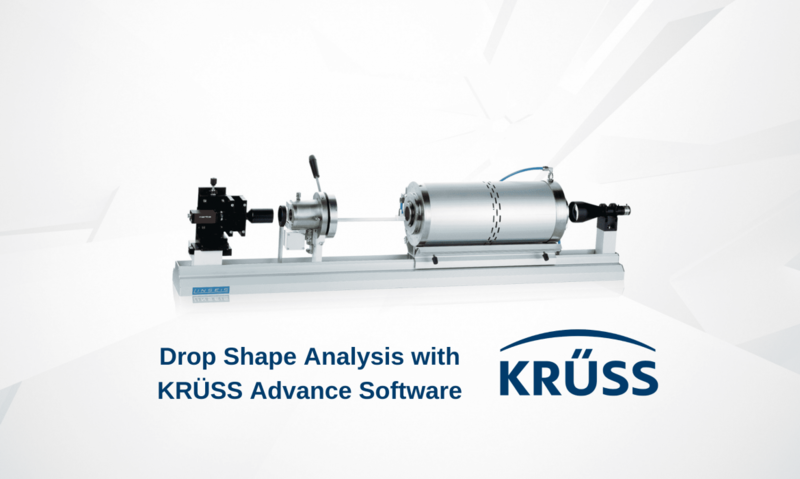 Concentration will be on the marketing of the Drop Shape Analyzer – DSA High Temperature for analyses at up to 1550, 1700 or 2000°C. The instrument, which is also capable of measuring thermal expansion and deformation, provides everything needed for accurate wetting analyses at high temperatures with the help of the contact angle. This includes precise and stable target temperatures, the accurate control of temperature ramps, the simple introduction of samples as well as contactless optical measurement with high-resolution CCD camera and powerful image analysis software. Simultaneous measurements of the contact angle and thermal expansion along with the melting deformation are particularly meaningful thanks to the continuous recording of the entire measurement in a video image with documented temperature characteristic. The system is also extremely flexible in the choice of ambient conditions. Measurements can be carried out in air (oxidizing atmosphere) or equally under inert gas, in reducing atmosphere or in vacuum. As a result of the collaboration, LINSEIS will benefit from KRÜSS’ expertise and market knowledge in the field of wetting analysis, while KRÜSS will be able to call upon LINSEIS’ expert knowledge in high-temperature analyses and extend its market presence to new industrial and research fields. Both companies will be represented at ACHEMA from 11 to 15 June in Frankfurt and will each be available as a point of contact for the link between contact angle measurement and dilatometry.